The law governing official languages in the Northwest Territories is ready for an overhaul during its upcoming review, the territory’s languages commissioner says. The law governing official languages in the Northwest Territories is ill-suited for the territory and ready for an overhaul during its upcoming review, the territory's languages commissioner says. The territory has 11 official languages which are enshrined in the N.W.T. 's Official Languages Act. That act was passed in 1984 and was modelled after federal legislation. It's been reviewed several times since then and is set for another review shortly. "We're at that point," said Shannon Gullberg, the languages commissioner. "We've been operating under a model that really mimics the federal model for a long time. I really hope this review opens the door to say: 'what's important?'" Gullberg is unsure of exact timelines, but expects the review to happen soon. She says she hopes it comes up with changes that allow the act to better serve people in the Northwest Territories. "The federal legislation doesn't work when you're dealing with rural, small, Indigenous communities with dying languages," Gullberg said. "It doesn't work. It does nothing to promote those languages." One example Gullberg noted is that the act sets out the rights for speakers of minority languages where there is "significant demand," but it does not define what "significant demand" actually means. She would not cite specific changes she wants to see, but said MLAs reviewing the bill should take care to respect the needs of Indigenous speakers in the territory's small communities. "You need to consider all the options," she said. "The legislation doesn't at all deal with languages and education, languages and promotion. I think if you're going to keep these languages alive, there needs to be some legislative mandate." She'd also like to see the law revised to set clear rules that require MLAs respond in writing to recommendations from the languages commissioner. Gullberg notes that the Legislative Assembly has shown a constant pattern of not responding to recommendations from her or her predecessors and wrote about the issue during her latest annual report, released last week. "There's nothing that comes back saying, 'here's what we're doing on this recommendation, and here's what we're doing on that recommendation,'" she said. "There could be things they've acted on... but without that reporting relationship going forward, you don't know what the priorities are." Other languages commissioners in the Northwest Territories and Nunavut have raised similar concerns in the past. Gullberg's predecessor, Snookie Catholique, who resigned from the position in 2015, complained about inadequate resources for the commissioner's office and noted in her 2013-14 annual report that the status of her recommendations was unclear as well. The only recent instance Gullberg can find where the territorial government did respond to her recommendation was in the case of Shene Catholique-Valpy, the mother who's lobbying for Dene characters to appear on her children's government ID. 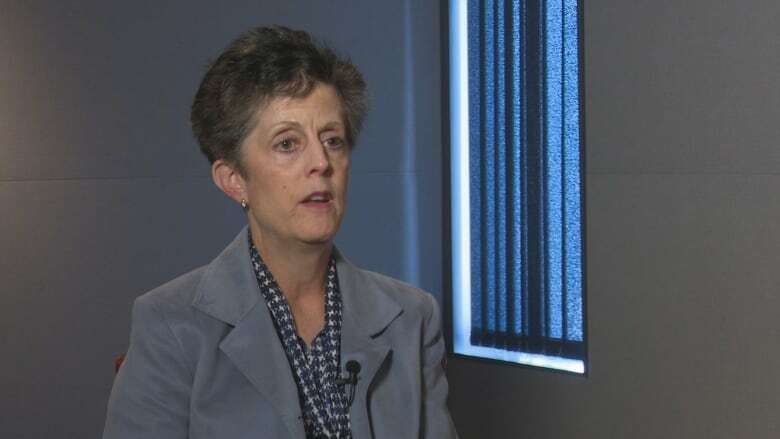 Catholique-Valpy says that even though the government ultimately responded to her complaint, she often had to wait months before getting new information. It's something she says has made her wonder whether the government respects the languages commissioner's authority. "I was getting frustrated, the commissioner was getting frustrated," Catholique-Valpy said. "Why is the commissioner there if they're not taking it seriously or acting on her recommendations?" In the Legislative Assembly on Friday, Speaker Jackson Lafferty addressed the languages commissioner's report, saying the report offered "thoughtful" and "important" recommendations. "Once our languages disappear, they are gone forever," Lafferty said. "Future generations will judge us by the actions that we take, or fail to take, to save these languages." He said that the territory's proposed budget for the 2019-2020 year proposes to triple funding for language support. Lafferty said he encourages other members to speak their languages in the assembly, and he encourages other members to do the same. The languages are "only equal in status to French and English if we treat them that way," he said.